The LG G3 Vigor is a decent enough phone though. It’s the smaller cousin to the LG G3, which is LG’s flagship phone. The hardware is cut down, but the Vigor has the same design except it’s a little smaller. After a week of usage, everything seems fine, and it’s snappy with the apps. 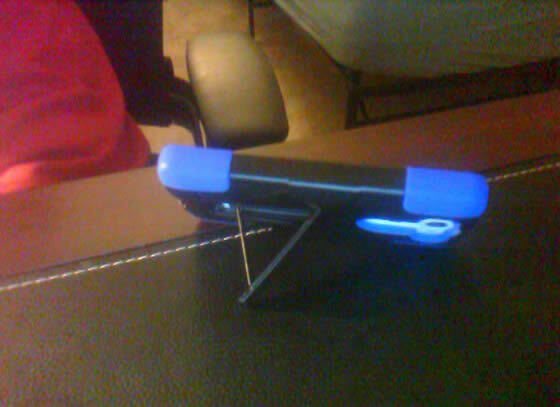 The form factor is pretty good, and 5 inches is not too big. As long as the phone is quick and responsive for daily tasks and taking pictures, I am satisfied. My eyes aren’t really good enough to tell the difference between 1280 x 720 vs 1920 x 1080 on a 5 inch screen, and I don’t play any 3D games on the phone, so a mid-range smart phone is good enough for my purposes. The only thing I’m a little concerned about is that the phone only has 8 GB of storage, but I can always buy a micro SD card to add storage, and micro SD cards are getting cheaper everyday. So below are pictures of my new phone. I bought a case off of eBay, and it’s pretty nice as it provides protection and kickstand that works in both landscape and portrait orientations. The pics are a bit blurry since I had to take them with my laptop’s webcam. 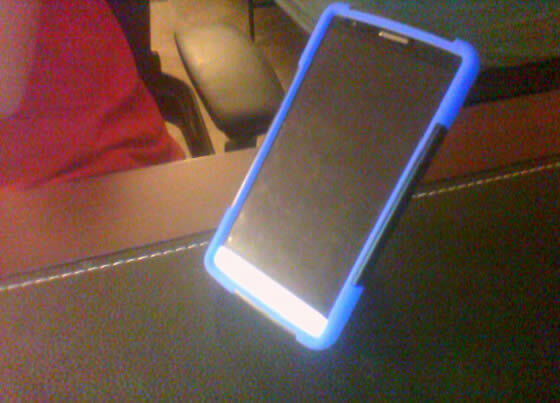 My new LG G3 Vigor in its kickstand case, in portrait orientation. Hopefully my new smartphone will last a lot longer than my iPhone. It’s probably not worth it to pay to get the iPhone fixed, but I might take it apart myself to see if anything can be done to revive it. I could always give the 4S to my mom if I can fix it. This episode of the phone dying also taught me a lesson of backing up my phone contacts. I didn’t back up my contacts on the iPhone, so I had to ask various friends and relatives for their numbers again and build the list manually. I’ll be sure to back up my contact list and any other important data on my phone periodically now.